Rio Salado College | RioNews: Café @ Rio -- Made with Love! Café @ Rio -- Made with Love! A community college cafeteria may be the last place you’d expect to find a grilled panini, homemade soup or fresh sandwiches and salads made to order, with many of the ingredients grown just a few hundred feet away. 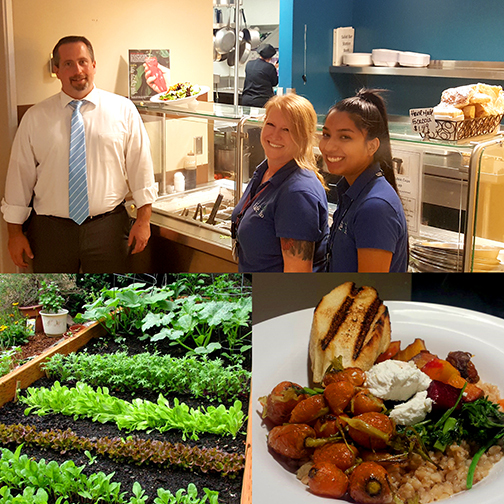 In fact, most of the produce used at Rio Salado College’s sustainable café, called Café @ Rio is raised locally if not in the café’s on-site garden itself. 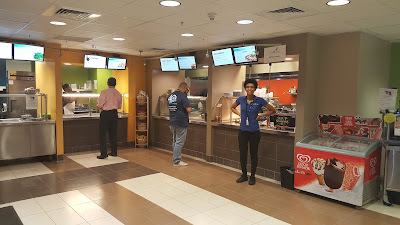 Amid a clean and bright atmosphere, complete with digital menu screens and sparkling glass, waits an eager and knowledgeable staff ready to serve its patrons healthy portions of whole grains, fruits, vegetables, vegan options and lean proteins. The seafood choices all adhere to the Monterey Bay Seafood Watch standards for sustainable seafood. 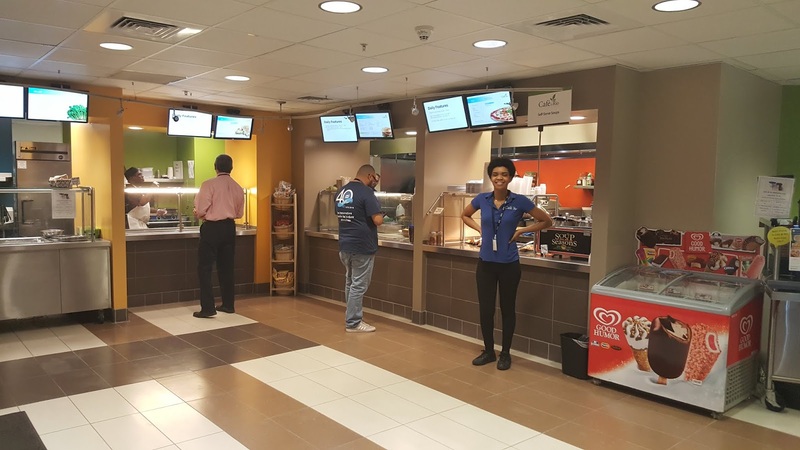 While providing healthy, fresh menu options for customers and adhering to the highest sustainability standards, Café @ Rio has a larger purpose, too. People who want to make a career in the sustainable food industry can earn an associate degree in Sustainable Food Systems, and the Café@Rio and its garden are the labs. 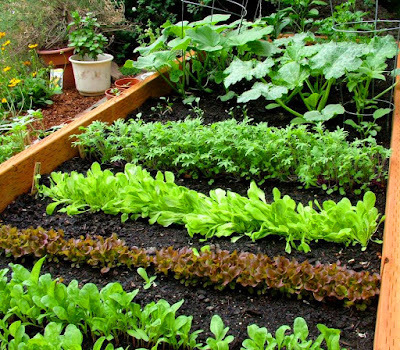 As part of Rio Salado’s degree program, students learn best practices for raising and using sustainable foods, what the “real food movement” is and the best ways to prepare and serve those ingredients. 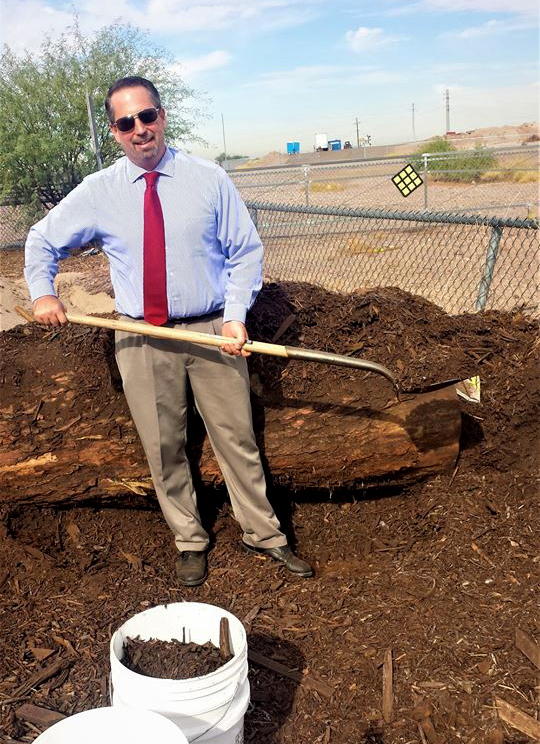 The college composts all of its food scraps and tree trimmings to create fertilizer, sells its fry oil to be made into biofuel, and offers nutrient dense food options on a daily basis. There is more information on Rio Salado College’s Sustainability Food Systems Program here.